Submitting Junk to KnujOn - Get Reporting Utilities! - Upload your Spam! Send Stock Junk to stockjunk@knujon.net (CC'd to SEC). More on stock junk. Send Prescription Drug Junk to rx@knujon.net (CC'd to FDA, others). More on Rx junk. Send Phishing attempts to phishing@knujon.net (CC'd to APWG, others). More on Phishing. Send Deposit Scams to depositscams@knujon.net (CC'd to USSS, others). More on Deposit Scams. Send Software Piracy to swpiracy@knujon.net (CC'd to MS, Adobe, others). More on Software Piracy. Send Counterfeit products to fake@knujon.net. More on Counterfeit products. Send Junk Faxes to junkfaxes@knujon.net (CC'd to FCC). More on Junk Faxes. Send Forum Spam to forumjunk@knujon.net. More on Forum Spam. Send Career/Job/Resume Spam to jobphishing@knujon.net. (CC'd to phishbucket.org). Outlook VBA Macro "Advanced" Outlook Macro | Gmail |Yahoo | Thunderbird |Apple Mail |K9 | Habu |gloomytrousers | Okopipi |Know an email client or utility not listed? Tell us! It is not necessary to include any comments or explanations with the junk mail. It is unlikely they will be read. 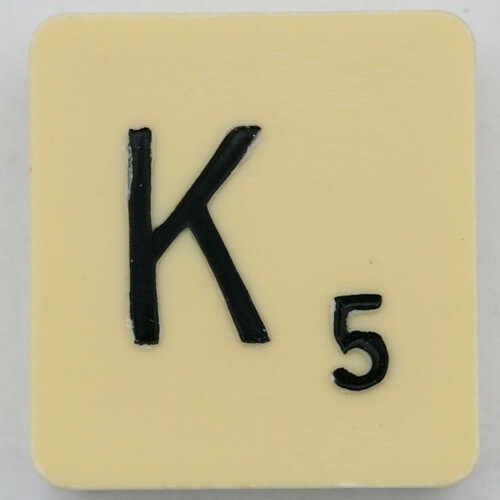 Send any correspondence or comments to contact@knujon.com. Avoid using "receipt required" flags or other delivery certificates as it may delay the processing of your email. KnujOn will attempt to contact ISPs when users are blocked from forwarding email, but we have little or no control over the outcome. If they say "no" there is nothing more we can do. Files are time-stamped so you may upload more than one per day with the same name. This is best if the files are compressed as zip, tar, rar, pst, or some other bulk format. You do not need to zip the file if it is already bulk unless you are compressing for size. Files with viruses will usually not be processed. Sometimes if a zip file contains a virus file we can still process the rest, but not always. We have been unable to process certain types of .7z files, this may be a temporary problem. Website featured: (RXsite.com)Note: url only, no "http://" - slashes cause upload errors. If you are using a GUI desktop mail client it is easier for you and us to send multiple emails in a single message. In many desktop mail clients it is possible to drag and drop several emails at a time and forward them all to nonreg@knujon.net. You may send a dozen or more emails at once, but note that most email servers will have a size limit of 5 megs. You may also send them as zip files. There are several ways to automate or simplify reporting from Outlook. The following manual export to a .PST file and then bulk forwarding is the most straightforward. It is important to note that many network administrators block Outlook macros because of viruses. For the same reason, many versions of outlook cannot be access with scripting. If you are not comfortable with using macros or scripts, use the above .PST method. Create a name for the macro "KnujonReporting"
A VB project window will open with a blank VBScript subroutine with the name entered in the last step. 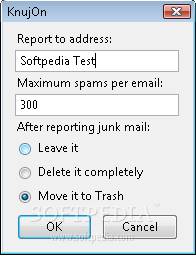 Be sure to set subFolder to "junk" (or the name of your junk folder), and myForward.To to your personal knujon.net address if you are a member. In the Toolbars tab click New... and create a Knujon Reporting toolbar. SecondWheel has been gracious enough to provide a modified ThunderBird Extension for Knujon reporting. Thunderbird is a mozilla email client. SecondWheel offers tips for using Thunderbird at his site. SecondWheel has added a number of options. Thunderbird is a free GUI email client that can be downloaded here. Show Address: moritz-abraham.de has an extension that reveals the sender address rather than some named value the spammer would rather you see. Information/Beschreibung, Download. The following AppleScript script forwards such spam to KnujOn's spam reporting address. It includes all headers so that the spam can be traced to its actual source, rather than the apparent source (much spam is forged to appear to originate from a location other than its real source). set theSpamAuthority to "KnujOn "
Open "/Applications/AppleScript/Script Editor.app" and paste the above code. Save it as "/Library/Scripts/Mail Scripts/Report Spam to KnujOn.scpt". To use the script you'll need to enable the Scripts menu in "/Applications/AppleScript/AppleScript Utility.app". When you receive spam, simply select all the messages, choose the script from the Script menu, and the messages will be forwarded to KnujOn. You can then safely delete the messages. You could simply select all the messages and forward them to KnujOn's address, but that bundles all messages together in one mail as attachments. Using this script, each message is kept separate and quoted in full, in plain text. "Takes a mailbox or other file full of junk e-mails, and sends them to spam reporting services such as SpamCop, KnujOn, various phishing reporting addresses (e.g. Bank Safe Online) if appropriate (based on content), or any other service that accepts spam reports by e-mail. Comes pre-configured with a number of reporting services which can be used out-of-the-box. Inspired by similar scripts on SpamCop, but much more flexible and supporting a wider range of services." It is possible to download, zip and forward yahoo mail without opening any of it. This is a somewhat tedious process but reduces the exposure to viruses and pop-ups. Delete all the files after submitting! We realize this can be just as cumbersome as forwarding yahoo email one-at-a-time but this the bypasses running of asp or other scripts that may occur by opening junk email. This will also remove any issues surrounding the possibility of pornographic material being displayed on your monitor. Mr. Postman Thanks to a KnujOn member we have information on Mr. Postman which allows webmail to be accessed with Outlook. Mr Postman retrieves Yahoo mail (among others) and sends it to the Outlook Inbox where you can apply filters and have messages automatically forwarded to Knujon, for example. This works with the free version of Yahoo (but not the "beta" version). The program runs as a background process and whenever you do a send/receive, Outlook polls Mr Postman and Mr. Postman in turn goes to the yahoo site and pulls down your mail for you which eliminates the need to go there at all. I turned SPAM Guard (yeah, right) off so all messages go to the inbox now and have not had to actually log into the Yahoo site for quite some time using this. There were some problems with the original Yahoo script that Mr. Postman uses and although I believe the download has been updated, you may need to go to the help sections where you will find discussions and links to the downloads you need. Thanks to Triade Systems there is now a Python based script that will help gmail users report to KnujOn. Martin Heller has some great tips and instructions for K9 and server rules for reporting junk mail. This version may be easier. On SpamCop.net, click on the "Preferences" tab. Click on the "Report Handling Options". The second option will be "Personal copies of outgoing reports". Enter nonreg@knujon.net (or the registered user address) into this field. Click "Save Preferences" at the bottom of the page. From now on, whenever confirming a report in SpamCop, the reporting address you entered will automatically be included in the list of recipients to receive a copy of the report. The third option will be "Public standard report recipients". Enter nonreg@knujon.net(or the registered user address) into this field. From now on, whenever confirming a report in SpamCop, one of the checkboxes for recipients of reports will be Knujon. You will need to manually check this box for each spam you're sending reports for. MailWasher has provided a registry patch that will allow MailWasher users to enter any email address into the SpamCop reporting tool within MailWasher. With this patch you will not be able to report to both SpamCop and Knujon. We are not trying to steal SpamCop's thunder, we would prefer it if you junk could be reported to both and this may change in the future. You may send all your junk mail in one zipped file. If you have many junk emails, it is not necessary to send them to us one at a time! In a desktop email client you may drag all your emails to a folder and compress them using a program like Winzip. Send the zipped file to nonreg@knujon.net OR upload it. Zip files over 5 megs may be rejected by your mail server. Winzip may be downloaded free here. Remember to set the "binary" option when automating FTP, otherwise files may become corrupt in transfer. We have some memebers using boxbe and our reports are getting rejected. We have no other way to contact you! Whitelist us or use an alternate email. You may need to turn off your ISP's spam filters in order to forward us junk mail. Some members who use Domain Direct and other services have noted this. Please consult the specific ISP instructions for this. Anyone may submit junk to KnujOn, but registered members receive progress reports and special attention. The service is inexpensive and registration is easy. We have also provided special addresses for specific types of junk mail like stock, prescription drugs, etc. As a registered member you are free to submit to these addresses, they are reported but they are not "credited" to your account. We do not look at headers or trace IP origin on a large scale, but in select cases. We're not trying to reinvent the wheel, we are fully aware that services like SpamCop are already doing this job and doing it well. We encourage everyone to use many services to fight this problem on multiple levels. In the future we may work with other services to provide 100% protection. However, for the moment we are focused on our own model which is not so much on the junk mail traffic (ISP abuse, botnets, zombies) but more on the fraud and illegal activity going on behind the scenes. Reduction in junk mail is a byproduct of that effort. This is not to say we are not concerned with botnets and zombies, we are and as time permits we research that as well. So, if KnujOn users send full headers along, we use them. But we are not requesting or requiring that people do send the headers.